Jason Donovan was born in Melbourne, Australia and first found fame starring alongside Kylie Minogue in the Australian soap Neighbours. In the UK he has sold more than three million records, with his début album Ten Good Reasons being the highest-selling album of 1989 with sales of over 1.5 million. He has had four UK No. 1 singles (between 1988 and 1992 he had 16 Top 40 hit singles in the UK), one of which was Especially for You (when he duetted with Kylie Minogue). More recently he has returned to acting and appearing in stage musicals. Donovan continued to act alongside his pop career, and in 1990 appeared in his first feature film Blood Oath (aka Prisoners of the Sun). In 1991 he accepted the lead role in the London Palladium production of Joseph and the Amazing Technicolor Dreamcoat. He had his third solo UK #1 single with the track Any Dream Will Do from the show. Donovan admitted that by 1995 he had a serious drug problem. In 1995 he attended model Kate Moss's 21st birthday party at The Viper Room in Los Angeles where he suffered a drug-induced seizure (ironically same venue where River Phoenix had died of a drug overdose in 1993). He was rushed to hospital and claims that the last face he remembered seeing was Michael Hutchence. In 1998 Donovan took the lead role of Frank N Furter in a UK tour of The Rocky Horror Show where he met stage manager Angela Malloch who subsequently became pregnant and gave birth to a son. Donovan has claimed to be drug-free since 2000 which was the year his first child was born. 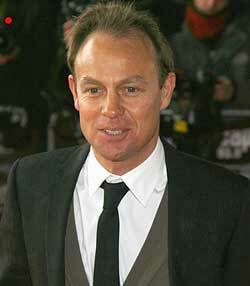 In late 2004 he was starring in Chitty Chitty Bang Bang at the London Palladium. Following this he toured the UK performing concerts and returned to the stage in January 2006 to star in a UK tour of Stephen Sondheim's Sweeney Todd. Donovan took part in I'm a Celebrity... Get Me Out of Here! in 2006 and finished third losing out on the “King of the Jungle” title to Matt Willis, but during an interview on the Steve Wright radio show he claimed that his appearance on this show had revitalised his career. In early 2008 Donovan appeared in ITV's soap opera Echo Beach as Daniel Marrack. But the series was cancelled after 12 episodes. In 2009/2010 Donovan played Tick (Mitzi) in the Priscilla Queen of the Desert at the Palace Theatre in London’s West End. Donovan appeared in the arena tour of Jeff Wayne's The War of The Worlds: The New Generation - Alive on Stage playing Parson Nathaniel.